Creating a dental assistant resume objective isn’t always easy since you’re basically stating a personal philosophy about what you’d do in the job if hired. However, an objective is still essential because it shows personal drive for success as a dental assistant. 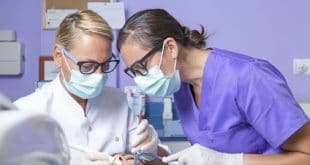 Since dental assistants are usually just a stepping stone toward more advanced dental careers, an objective is all the more important in showing how you want to progress. Dentists who hire dental assistants appreciate this because they need to depend on their assistants for varied things. You’ll assist dentists during dental procedures, greet patients beforehand to make them feel comfortable, manage the office, plus deal with duties in the lab. Despite relatively short education time, dental assistants still have a heavy responsibility. It’s why you should have objectives for every aspect of the job as proof you’re up to it with specific skills and knowledge. How do you craft objectives on your resume for all the various parts of a dental assistant job? Take each aspect of what’s expected and write a sentence proving you stand out from any competitor. This is one of the most important resume objectives since it’s always about the patients in dental assistant careers. Without a patient feeling comfortable and secure in knowing how you handle procedures, you ultimately lose patients in the process. It’s why your objective sentence should state your experience working with patients and the skills you used in making them feel less anxiety. You should also mention your philosophy in improving the overall patient satisfaction quotient. Because all patients are different, be specific in what that entails and how you want to approach it. Describe how you understand patient needs and their psychology so you make them feel confident in learning about procedures. In the experience section of your resume, you might want to tell about what you did to make patients feel less anxious as an adjunct to your patient objective. Also make it clear you know what to do in the case of emergencies. 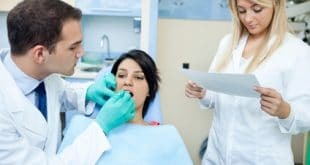 Dentists want assistants understanding what to do if a patient suddenly gets a reaction to a procedure or suffers a sudden health event while in the dentist chair. Lab duties are vital in dental assistant careers where you sterilize equipment, create dental molds, plus work with radiology. State your training in each area so the dentist knows you have comprehensive skills for lab procedures. Indicate in your objective sentence that you understand sterilization techniques, plus know how to maintain the machines. Showing you have thorough understanding about safety in sterilization and radiology in dentistry proves your conscientiousness. When you make this an adamant statement, a dentist has more faith in you since you may work in the lab alone. Office management is another major part of dental assistant careers, so stating an objective of bringing office organization always gets noticed. Stating that you successfully managed an office before for a dentist (or even anyone else) is a major plus. Considering this entails numerous details, include several objectives about billing being done correctly, files being checked for accuracy, plus pleasant rapport with people on the phone. In the office, you’re dealing with more people on the phone in a day than you probably are patients coming in. This is because you’ll have to deal with setting appointments on the phone while also calling suppliers to order new equipment. Prove in your objective that you understand how important an organized office is, and you know how to achieve it without confusion. 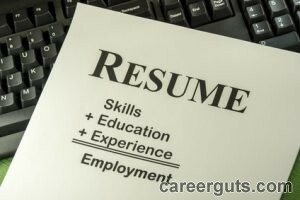 Contact us here at Dental Assistant to learn more about resume objectives when applying for dental assistant jobs. Previous What is a Parole Officer’s Job Description?